Roger Federer will play his first tournament as World No.1 in over 5 years but will have a tough task ahead of him to ensure he retains that spot going into April. He defends Indian Wells and Miami back to back and may well need to win both with Nadal back ahead of him in the live rankings. Nadal will not compete at this event or Miami due to his hip issues. 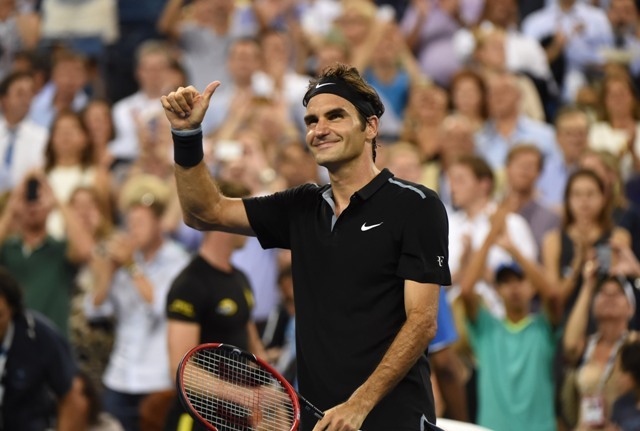 With victory over Stanislas Wawrinka, Federer tied Novak Djokovic’s 5 titles in California. With Djokovic not yet proven back at his best and no Nadal, the Swiss is mostly definitely a strong favourite to retain his title. He opens against either Federico Delbonis or Ryan Harrison while the early seeds in his way don’t look too threatening to him. 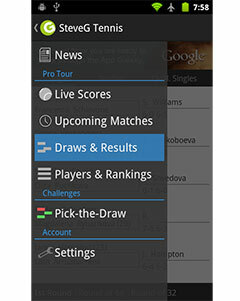 They include Fabio Fognini, winner in Sao Paolo last week, and Filip Krajinovic. He may find it a bit more difficult in the quarter finals with Dominic Thiem, Hyeon Chung and Tomas Berdych vying for that spot. Federer would likely prefer to play Berdych, whom he has a 9 match winning streak against, rather than Thiem who is one of a few players with a current winning record over Federer. The Austrian is 2-1 against Federer but lost their only hard court meeting in Brisbane 2 years ago. The big 4 dominance over Masters 1000 events began to crumble last year with Alexander Zverev and Grigor Dimitrov picking up titles last year, the latter in Cincinnati. Dimitrov continues to establish himself as one of the top players in the game and comes into this event as the No.3 seed. He may well play Russia’s Andrey Rublev in the third round. The Russian shocked him at the US Open last year but Dimitrov has now won the last two, including a straight sets win in Rotterdam last month. He was a losing finalist there, getting outplayed by Federer in the final. Kevin Anderson rounds off the top 8 seeds in the top half of the draw but will certainly not be favoured to advanced from that spot with Nick Kyrgios waiting in the wings in round 4. Kyrgios has not competed in tour play since losing at the Australian Open with just two Davis Cup matches under his belt in that time. Jack Sock took advantage of chaos in Paris to also win his first Masters 1000 title and continues to reap the rewards of a top 8 seeding in the big tournaments. It could be a very American opening week for him with the potential for him to play a compatriot in each of the first three matches. They include Delray Beach champion Frances Tiafoe and 19th seed Sam Querrey. 9th seed Lucas Pouille comes into the tournament in good form, making three finals over the past month. He may have lost in Dubai and and Marseille but recent results bode well for him in a bottom half that has a feel of being wide open. Expectations remain high for Alexander Zverev, who heads the third quarter of the draw as fourth seed. The German made the semi final in Acapulco a few weeks ago but his 2018 has not been amazing so far. He continued his poor run at slams with a third round exit in Australia while picking up a surprise loss to Andreas Seppi in his first tournament back. He may play Milos Raonic in round three as the Canadian looks to find his feet after injuries over the past few months. He is just 1-3 in 2018, the sole win coming over Taro Daniel in Delray Beach. Kyle Edmund and Diego Schwartzman round out the seeds in this quarter. Schwartzman has much more success on clay and won the Rio title last month but with Indian Wells generally playing slow, he may find success on the surface. Novak Djokovic will be allowed to ease himself into the tournament with a qualifier to begin before a potential third round with Kei Nishikori. Nishikori began his return from injury on the Challenger Tour, winning in Dallas before moving up to make the semi finals in new New York tournament. He lost in round one of Acapulco but looks to have the matches under his belt now to carry on where he left off pre-injury. Meanwhile, Djokovic has not played since his Australian Open loss to Hyeon Chung. The Serbian is also going for a record sixth title at this event alongside Federer but there’s little indication he is at that level yet. Juan Martin Del Potro looks well placed to end his three match losing streak against Djokovic if they were to meet in round four. The sixth seed won in Acapulco and looks to have solidified himself back in the top 10 once more. Marin Cilic is bumped up to the second seed due to Nadal’s absence, ensuring he will not play Federer before the final. The Croatian’s performances have not really stood out at Masters events with his slam runs forming the basis of his career high ranking. He has 2 slam finals to his name but results such as opening round losses in Indian Wells and Miami leave plenty of room for him to extend his lead over Grigor Dimitrov in fourth. The quarter final matchups offer plenty of intrigue but his inconsistency at best of three level means you can’t automatically pencil him in there. Gilles Muller will be aiming to upset the Croatian in round four while John Isner has had good runs at this event in the past including making the final in 2012.